This sartorial revolution had a profound effect on Imperial Russia. Explore the impact this change in dress had on Russian social relations, economic development, and cultural life with Christine Ruane. Dr. Christine Ruane is Professor Emeritus of History at the University of Tulsa. She received her BS in Russian language from Georgetown University and her Ph.D. in European and Russian history from the University of California, Berkeley. 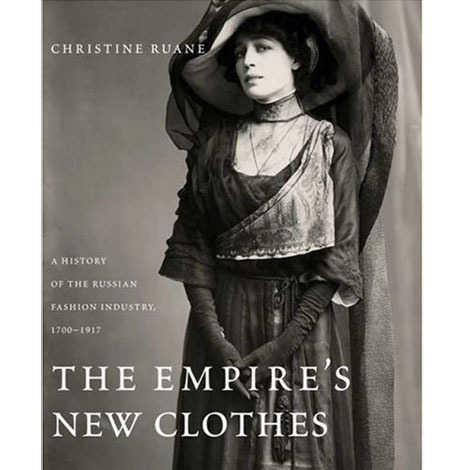 Her most recent book published by Yale University Press in 2009 is entitled, The Empire’s New Clothes: A History of the Russian Fashion Industry, 1700-1917. The book was chosen as one of the Best One Hundred Books of 2009 by the Toronto Globe & Mail, and it has been awarded the 2009 Heldt Prize for best book in Eurasian women’s studies and received an honorable mention for the Zelnik Prize in Russian History in 2010. A Russian translation of the book was published in 2011. Her current research project is a social and cultural history of kitchen gardening in Imperial Russia.